Built in 1912-1915, Babworth House is a grand Federation Arts and Crafts-style mansion that was adapted to apartments. Built 1912-1915; Renovated 2002; Situated at 1 Mount Adelaide Street, Darling Point, Sydney, NSW. Babworth House is an excellent example of the use of timber decoration in Federation style. 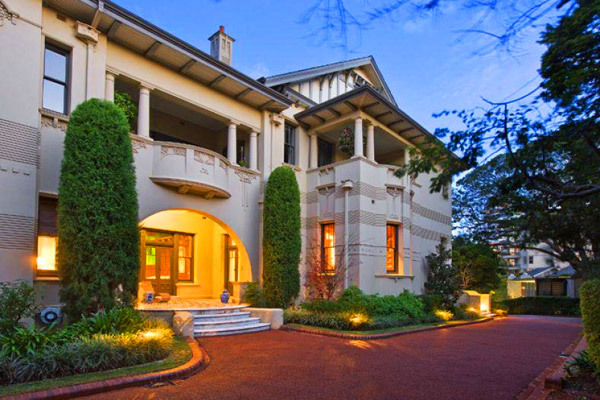 Described as “one of the largest, finest and most intact examples of an early twentieth century grand house in Australia. It is of national significance both historically and aesthetically. The quality and uniqueness of the exterior and interior detailing, incorporating both Art Nouveau and neoclassical motifs and forms is of a standard and scale rarely seen in domestic architecture. The workmanship and detailing of the external cement render work is of national significance technically . Babworth House was built between 1912 and 1915 for Sir Samuel Hordern, a fourth generation member of the family that founded the Anthony Hordern stores. Sir Samuel was a well-known and influential member of Sydney society. 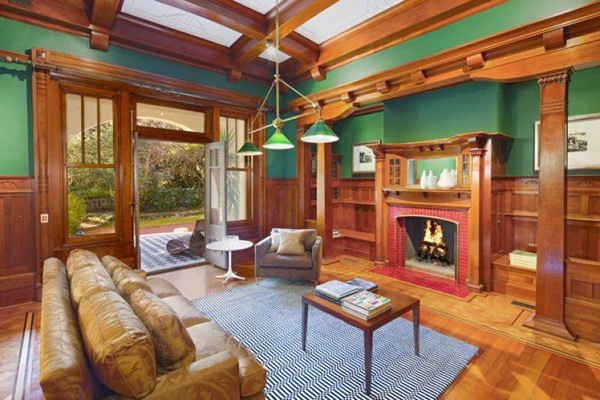 The grand 2-storey home was built in the Federation Arts and Crafts style and designed by architectural firm Morrow and De Putron. The walls were originally finished in unpainted cement render with Art Nouveau decorations around openings and chimneys. The living areas were paneled in English oak and Queensland maple. Plaster ceiling panels were decorated with Art Nouveau motifs. The home originally had a total of 40 rooms including a grand ballroom, billiard room and 24 bedrooms. The total cost of the project was 30,000 to 40,000 pounds (about $3.2 ~ 4.3 million in today’s terms). The Hordern’s lived in Babworth House for the next 40 years. Upon Sir Samuel’s passing in 1956, the house and contents were auctioned off. 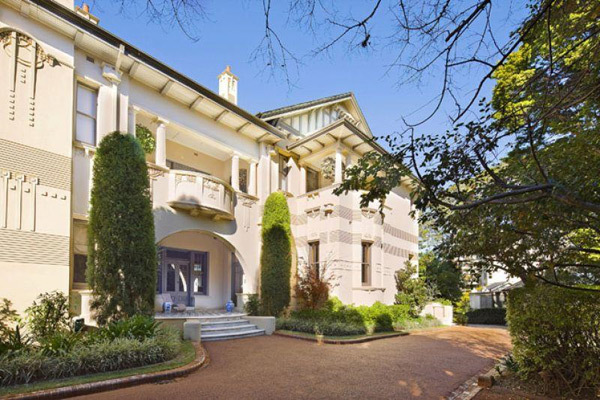 Major Rubin purchased the home to convert into a private hospital, but the Woollahra Council refused the change of use application on grounds that it was in a residential area. The matter went to court where it was decided that 1.5 acres of land would be subdivided for residential purposes, and the hospital was approved but on the condition it was to be a convalescent hospital. Between 1961 and 1980, the home was used as an after-care unit of St Vincent’s Hospital. Babworth House is sited on the highest point of the Darling Point peninsula. The house is two storey with walls finished in finely worked, unpainted, cement render with beautifully detailed Art Nouveau-inspired decorations around openings and chimneys. A series of very crisp and precise indented lines surround the house, adding strength and balance to the numerous and varied openings, balconies and other architectural elements. The house asymmetrical with broad gabled areas juxtaposed with bold projecting covered balconies, some with bowed or circular fronts. The east, north and west elevations are each different but use the same architectural language and decoration. The joinery is all timber with french doors generally containing tapered glass panels. The windows are usually double hung with single panes to the lower sash and six panes to the upper sash. The eaves are broad with ventilated soffits supported on tapered timber brackets or joists. The roof is broken into many parts and covered with slate, mostly with terracotta ridges and occasionally copper. The guttering, rainwater heads and downpipes are all in copper and of consistent detail designed especially for the house. Internally the house displays a variety of architectural styles, from Edwardian, Classical Revival to Art Nouveau and early Art Deco. The ground floor principal rooms comprise entry hall, stair hall, dining room, drawing room, ballroom/billiard room with attached bays and attached library/smoking room. 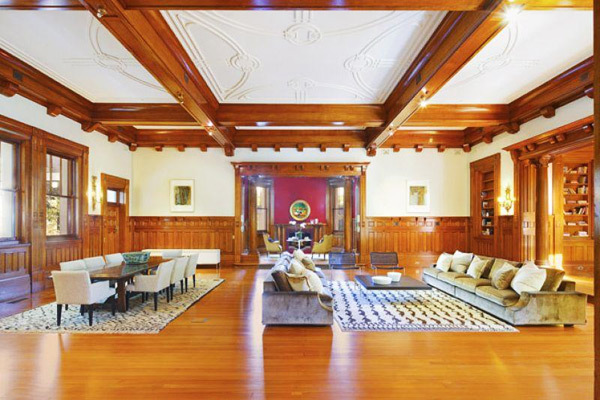 All of these, with the exception of the drawing room, are heavily paneled in English oak and Queensland maple with finely detailed door cases and beamed ceilings. 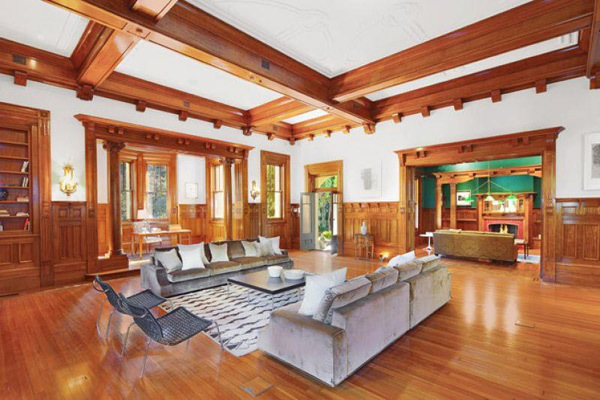 The plaster ceiling panels between the beams show bold Art Nouveau decoration and in the main rooms the ceilings show a subtle curve down towards the wall around the perimeter. The drawing room is entirely painted, even though it contains extensive areas of carved timber. 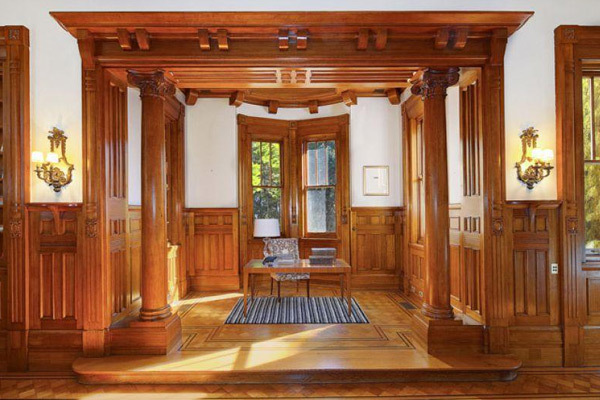 Walls are paneled in a Classical Revival manner, reminiscent of the eighteenth and early nineteenth centuries with carved door cases and a strongly articulated dado. The alcove to the fireplace is entered through a large columned opening and contains a fine white and green serpentine marble chimneypiece. 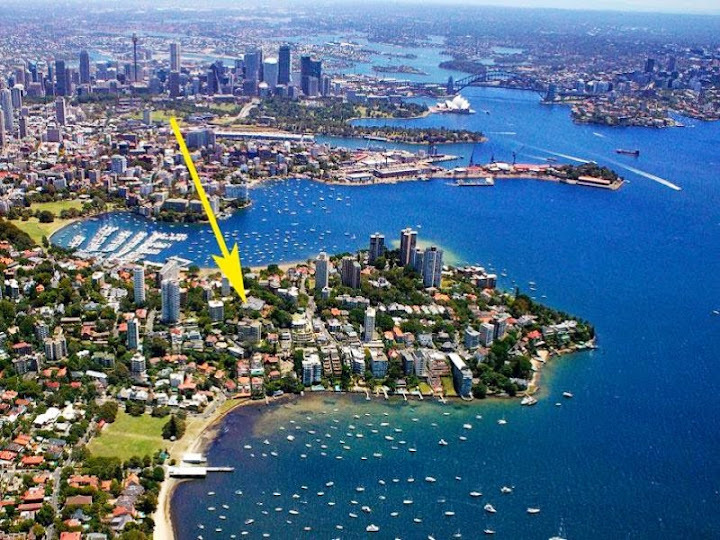 THE ballroom apartment in historic Babworth House at Darling Point has been sold for $8 million, setting a record price for a unit without harbour views. The grand 560-square-metre apartment that comes with a 390-square-metre garden was snapped up pre-auction by a Hong Kong-based expatriate who will rent it out until his return. 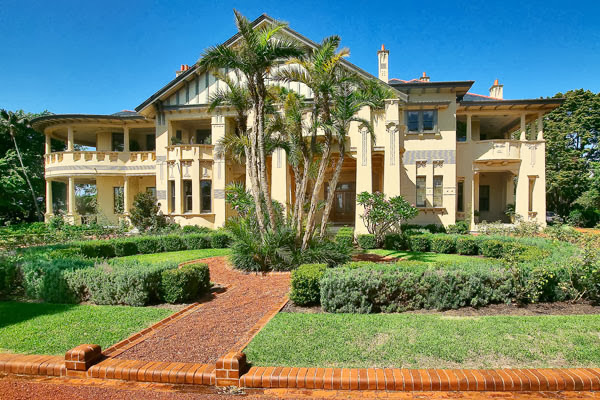 The two-storey apartment, offering the high life in a low-rise, initially sold off-the-plan in 2001 at $5.6 million when bought by the recruitment industry executive Phil Kerry and his wife, the Fox Sports presenter Ann-Maree Kerry, a 1984 Los Angeles Olympic Games gymnast. With an eclectic mix of Edwardian, Art Nouveau and Federation styles, Babworth House was built costing £40,000 in 1915 for the retailer Sir Samuel Hordern, and his wife, Charlotte, daughter of the NSW premier Sir John See. For most of the past five decades Babworth’s 26-bedroom accommodation was used by the Sisters of Charity, but also as a location for two films, Kitty and the Bagman and Careful He Might Hear You. The Kerrys’ six-bedroom south-west corner apartment, with a big-house feel and a big-house price, comes with gentleman’s smoking corner, ballroom and billiard room, heavily panelled in English oak, plus formal grounds. “But it’s not all old-world, as its state-of-the art European kitchen comes with a fishtank splashback,” said the selling agent, Martin Maskin of Raine & Horne. Babworth’s five apartments – four in the two-storey house and another in its expanded cellar/servants quarters space – grossed $25.6 million for its developers, who paid $5.25 million for the house in 2000. Architect Alan Croker on the oak panelled stairwell in 1998. Babworth House in 1998, before renovation. In 2000, the house was purchased for just $5.25 million by developers. It was split into 5 apartments – four in the main house and another in the cellar/servants quarters. The total gross sales for the developer reached $25.6 million. The architect firm for the project was Conybeare Morrison. They had done a wonderful job of preserving the original features of the home and gardens. 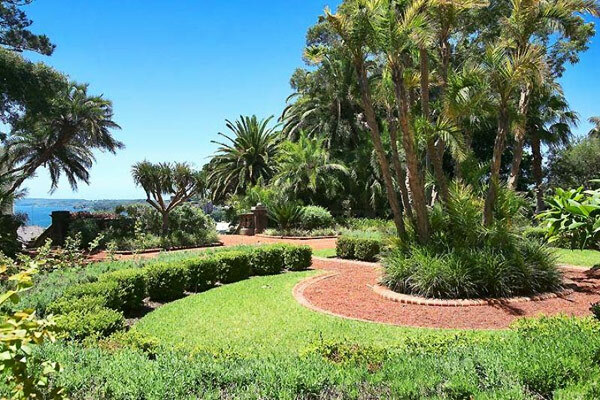 The garden was said to contain a private collection of plants dating from the nineteenth and early twentieth century, along with various rare and uncommon plants and rare indigenous species that have persisted since before site development. Babworth’s garden is an integral part of the design for the whole estate and, although the estate is reduced in size, the gardens and grounds provide a substantially intact and highly appropriate setting to the grand mansion. The built garden elements such as stairs, balustrades, grottoes and faux-rockwork amplify the scale of the mansion and demonstrate high technical accomplishment by using the same high standard of construction as the house. 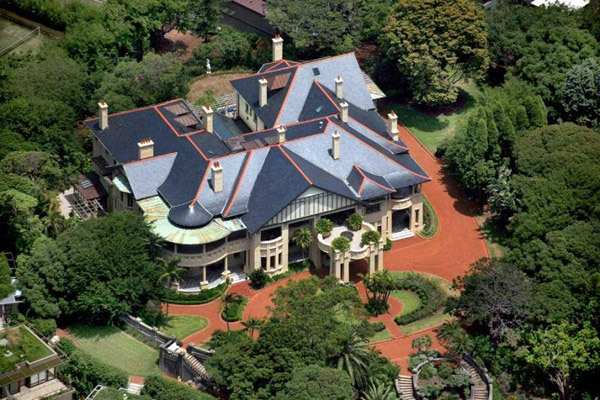 The Babworth estate, including house, garden and outbuildings, is representative of the large villa estate established by the wealthy elite of Darling Point during the nineteenth and early twentieth centuries. – Statement of Significance by the NSW Government Office of Environment & Heritage.